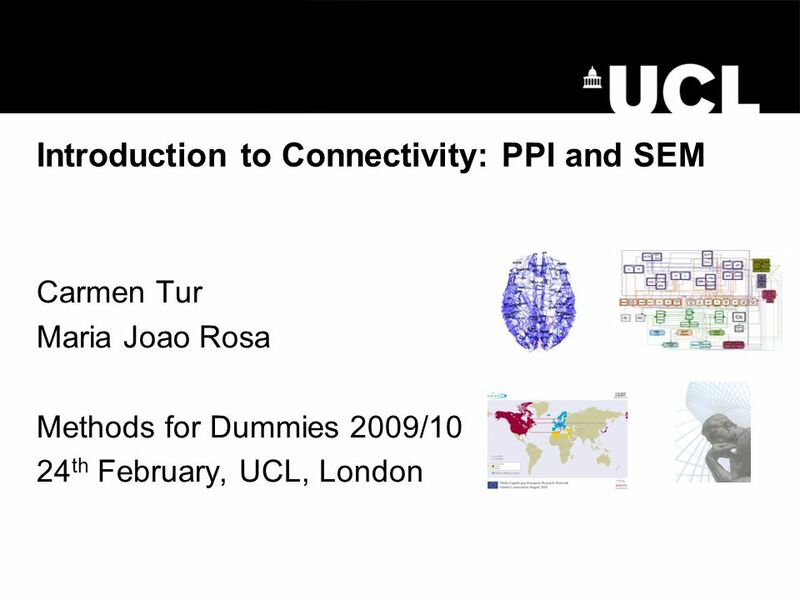 Introduction to Connectivity: PPI and SEM Carmen Tur Maria Joao Rosa Methods for Dummies 2009/10 24 th February, UCL, London. 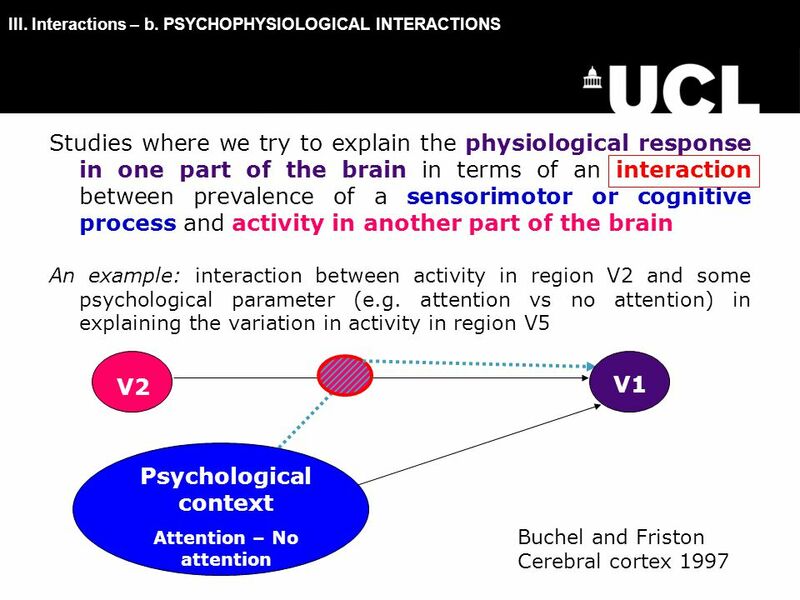 16 Neurobiological process: Where these interactions occur? 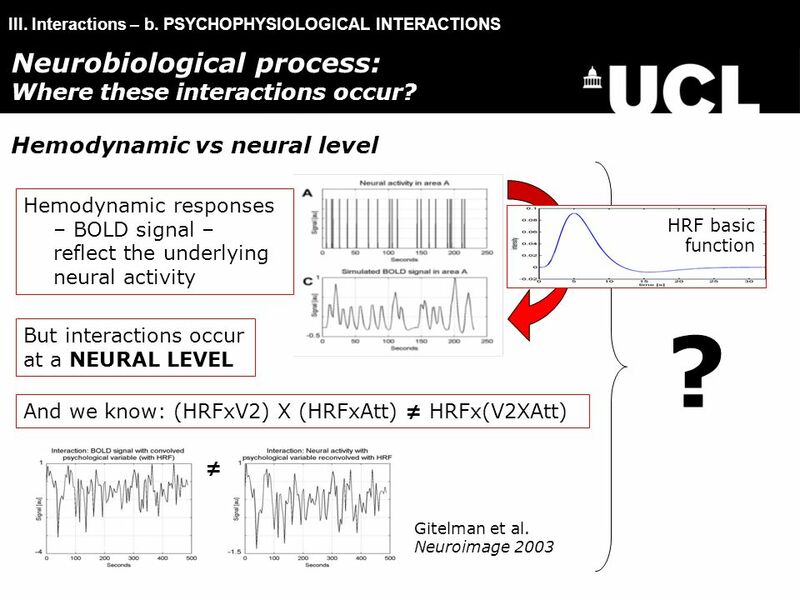 Hemodynamic vs neural level III. 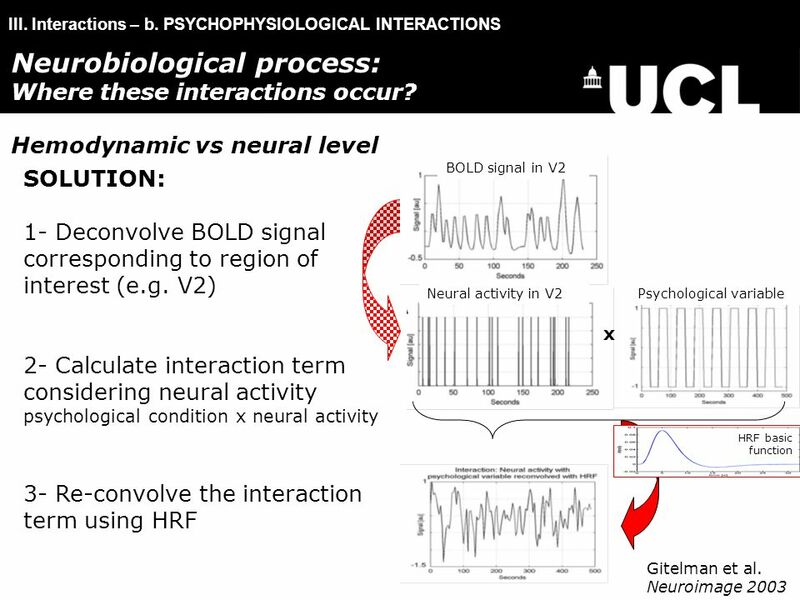 Interactions – b. PSYCHOPHYSIOLOGICAL INTERACTIONS But interactions occur at a NEURAL LEVEL Hemodynamic responses – BOLD signal – reflect the underlying neural activity Gitelman et al. 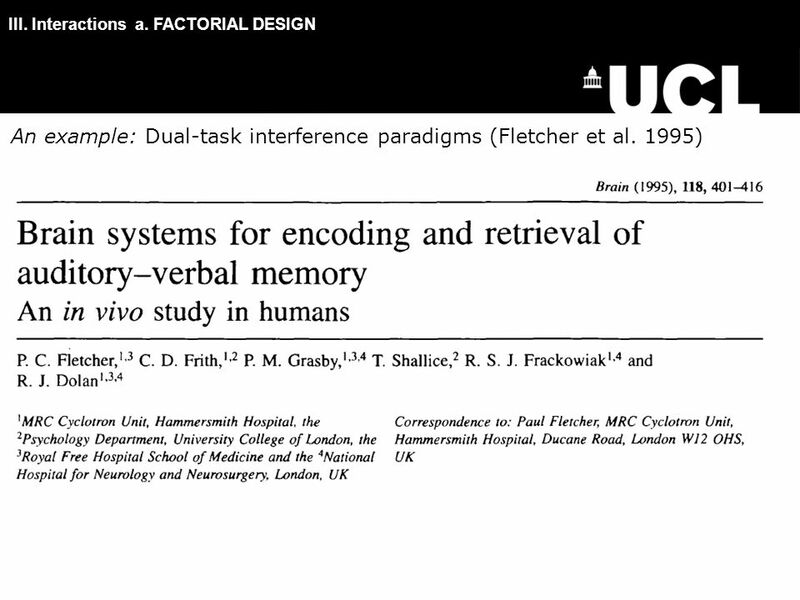 Neuroimage 2003 And we know: (HRFxV2) X (HRFxAtt) ≠ HRFx(V2XAtt) ≠ HRF basic function ? 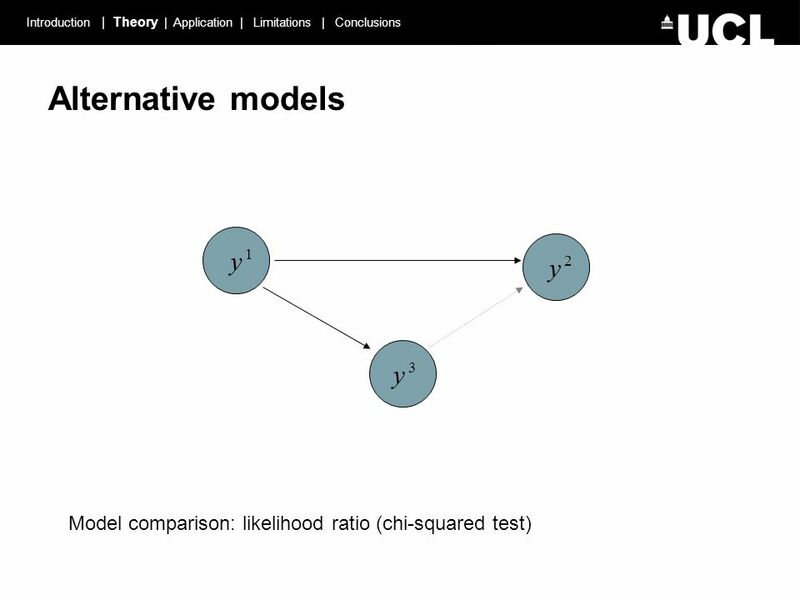 18 III. 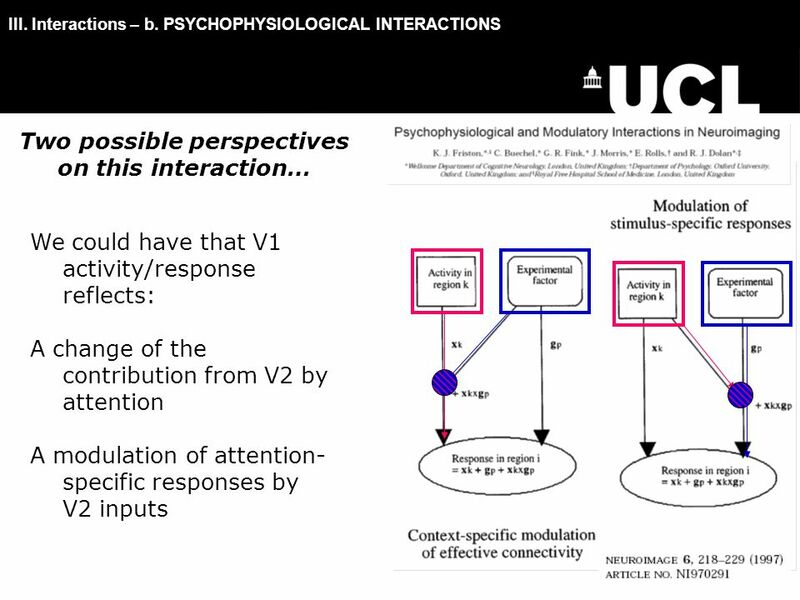 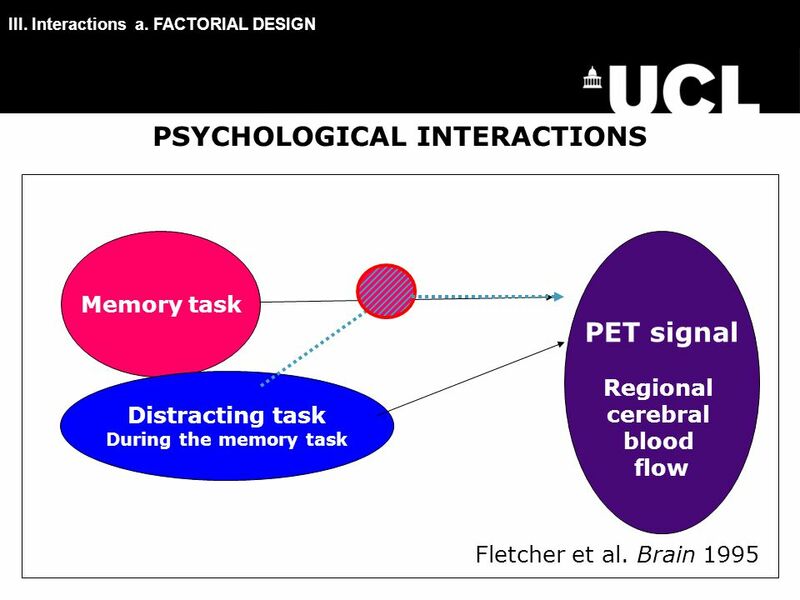 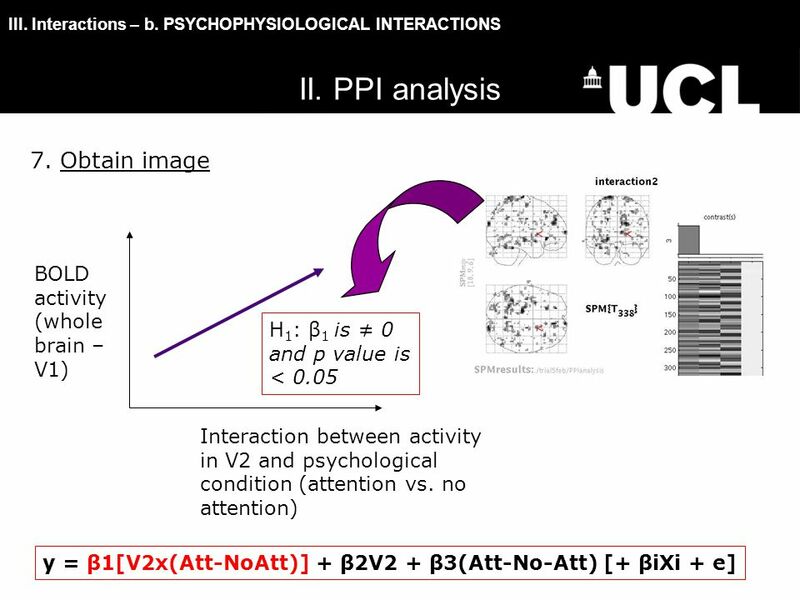 Interactions – b. PSYCHOPHYSIOLOGICAL INTERACTIONS How can we do this in SPM? 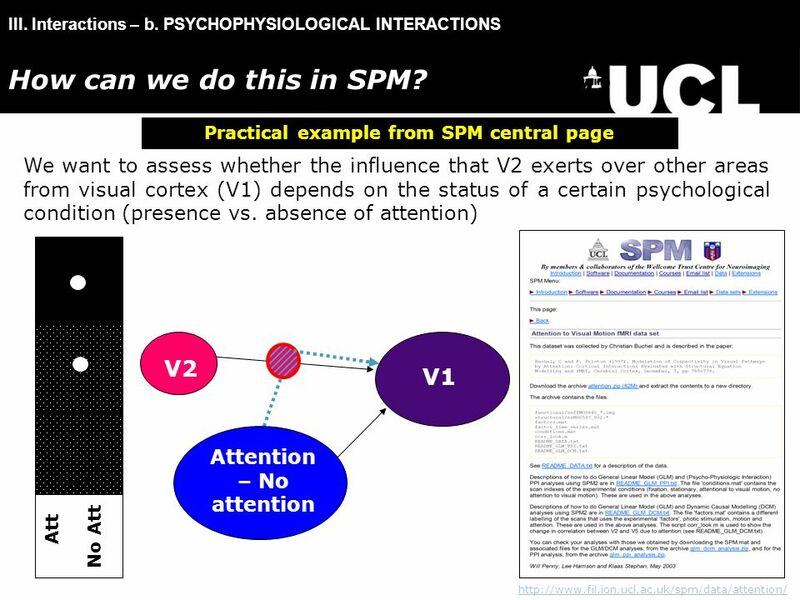 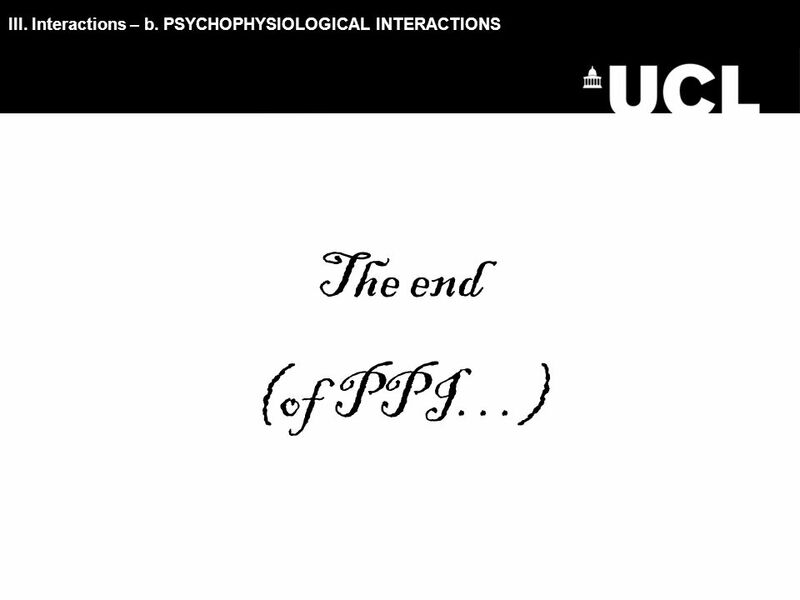 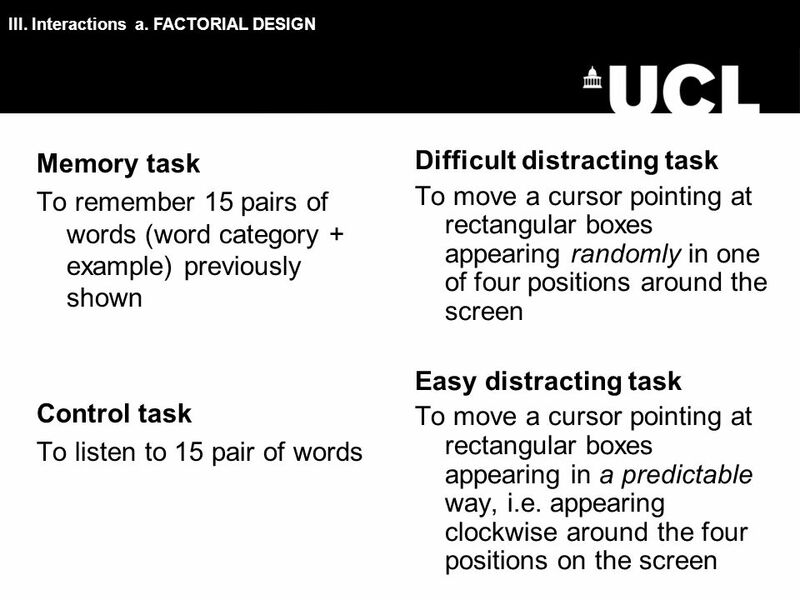 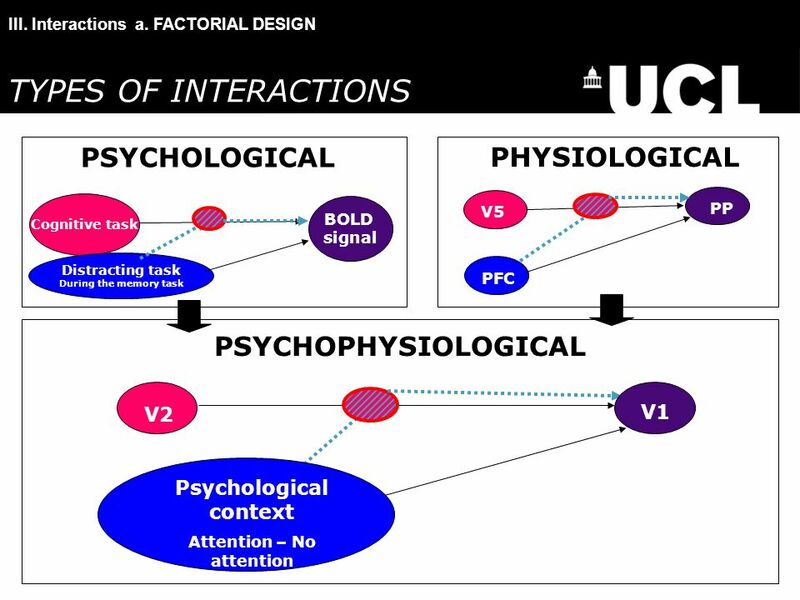 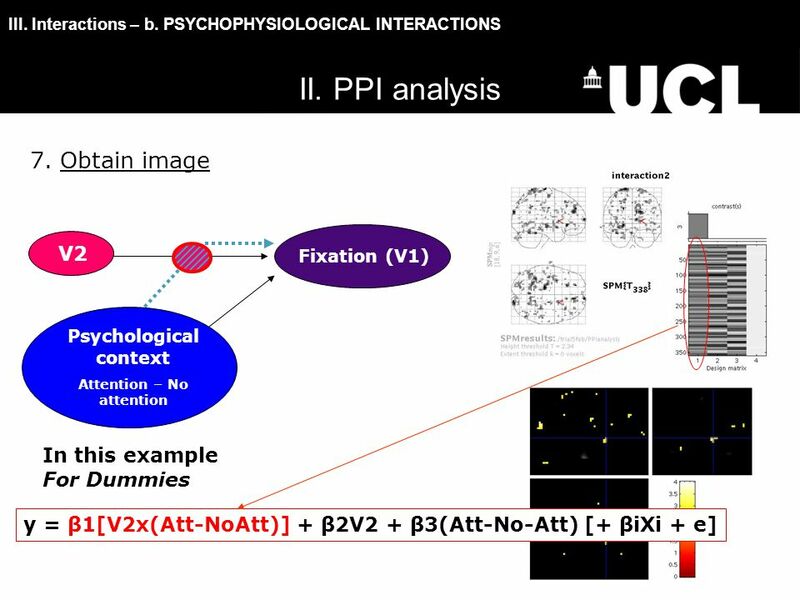 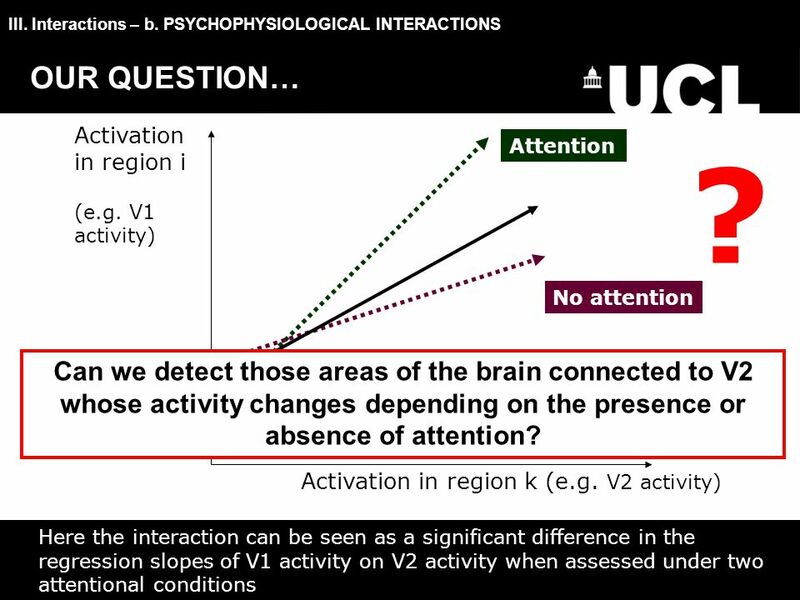 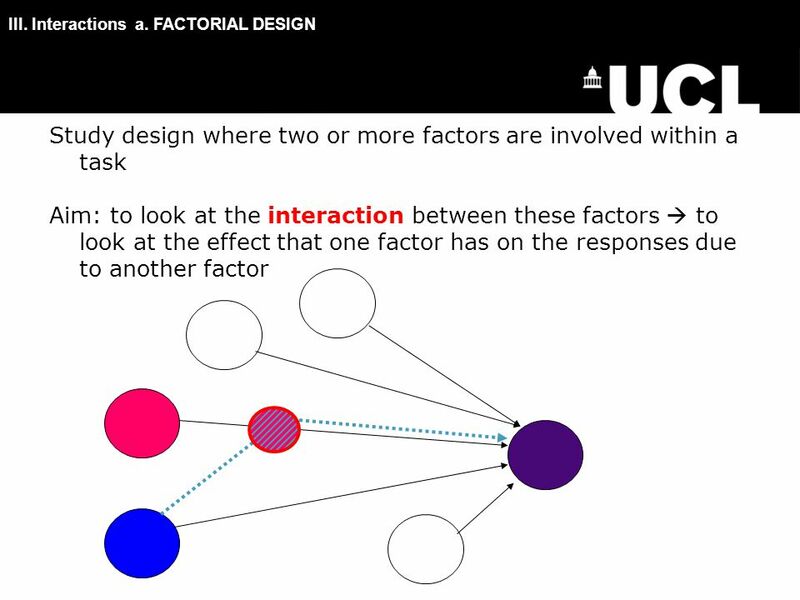 http://www.fil.ion.ucl.ac.uk/spm/data/attention/ Practical example from SPM central page We want to assess whether the influence that V2 exerts over other areas from visual cortex (V1) depends on the status of a certain psychological condition (presence vs. absence of attention) V2 V1 Attention – No attention Att No Att How can we do this in SPM? 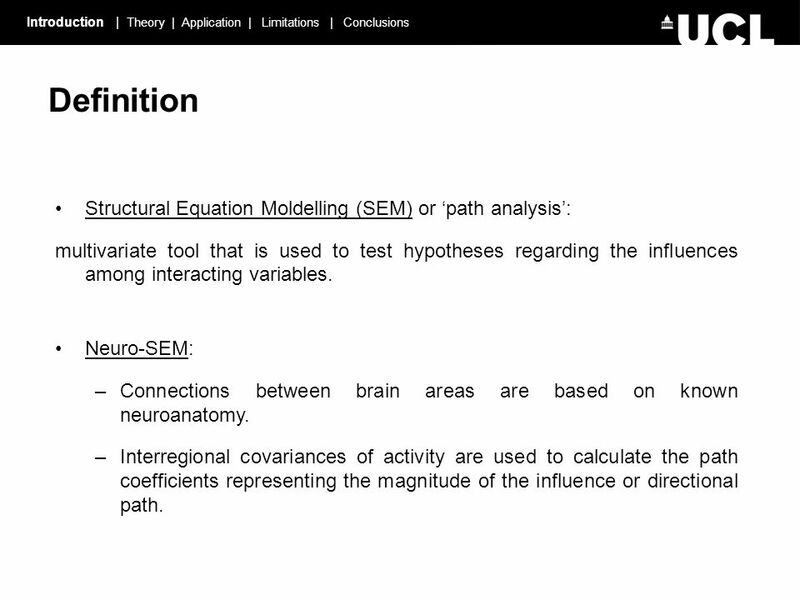 29 Introduction | Theory | Application | Limitations | Conclusions Definition Structural Equation Moldelling (SEM) or ‘path analysis’: multivariate tool that is used to test hypotheses regarding the influences among interacting variables. 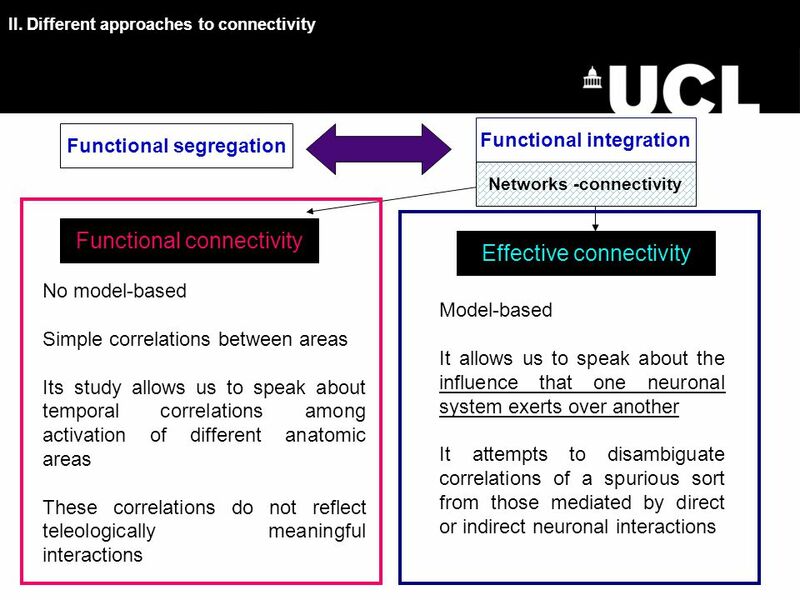 Neuro-SEM: –Connections between brain areas are based on known neuroanatomy. 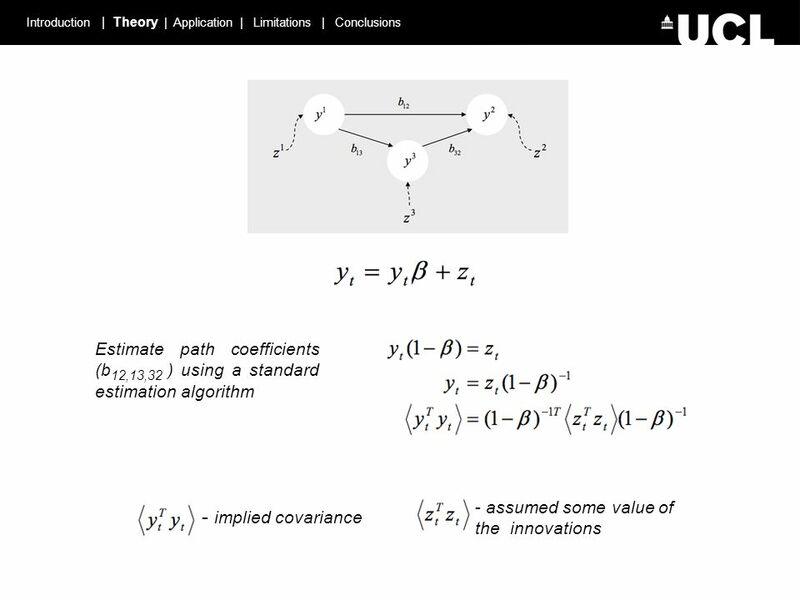 –Interregional covariances of activity are used to calculate the path coefficients representing the magnitude of the influence or directional path. 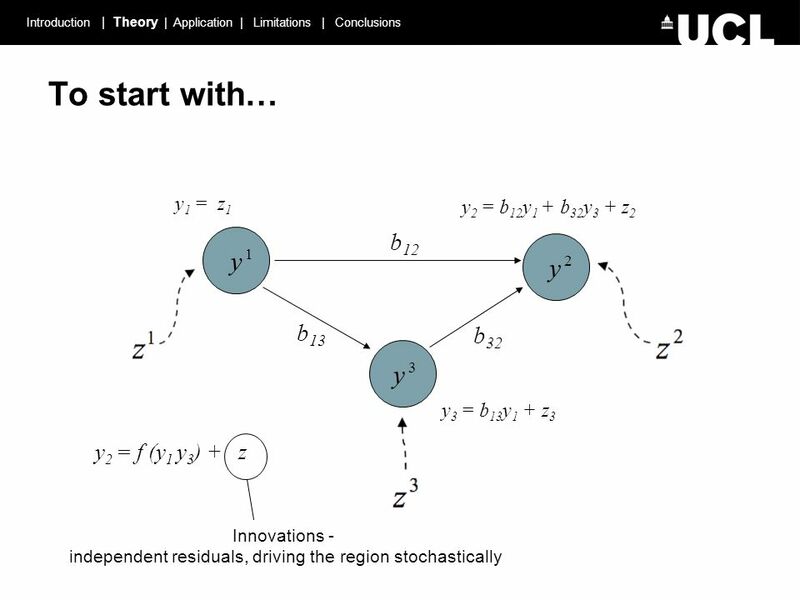 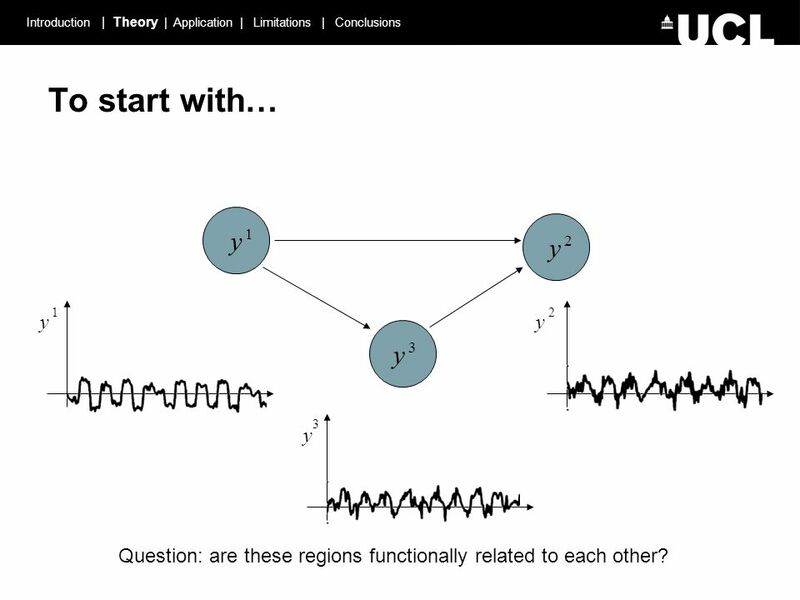 30 To start with… y 1 y 3 y 2 y 3 y 2 y 1 Introduction | Theory | Application | Limitations | Conclusions Question: are these regions functionally related to each other? 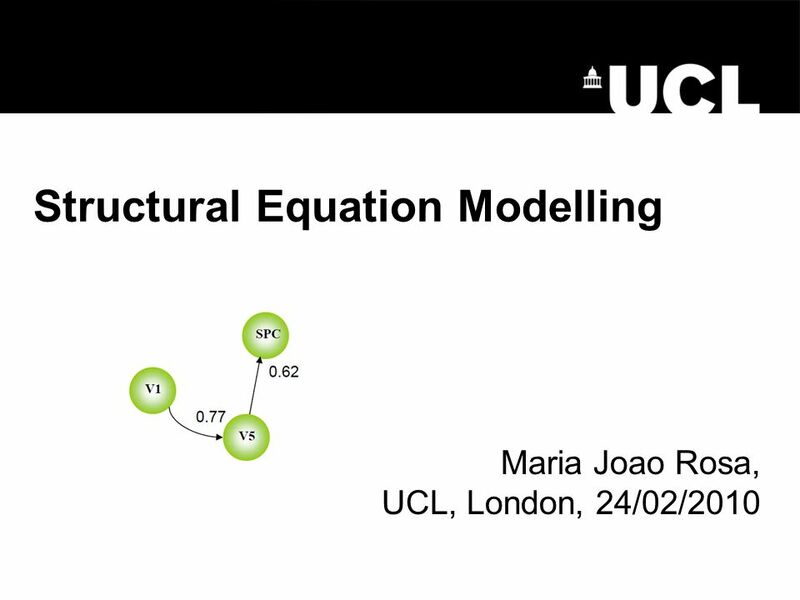 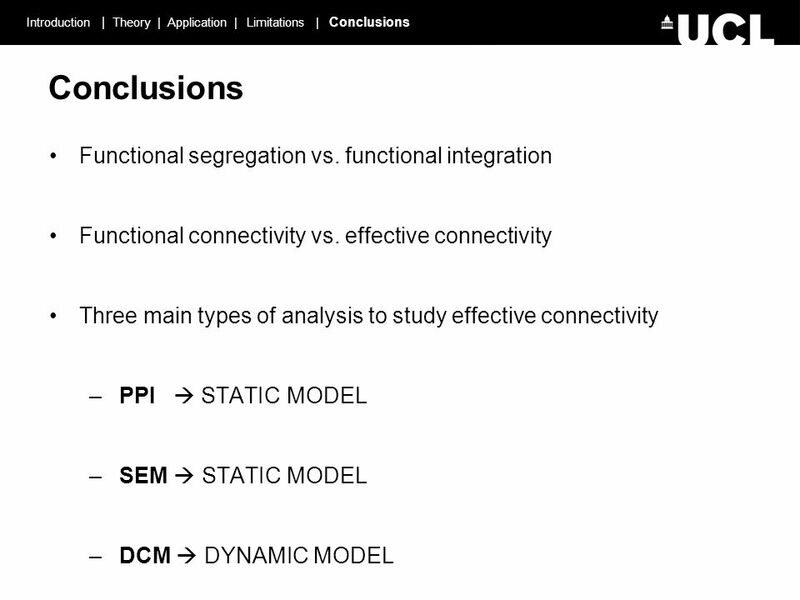 Download ppt "Introduction to Connectivity: PPI and SEM Carmen Tur Maria Joao Rosa Methods for Dummies 2009/10 24 th February, UCL, London." 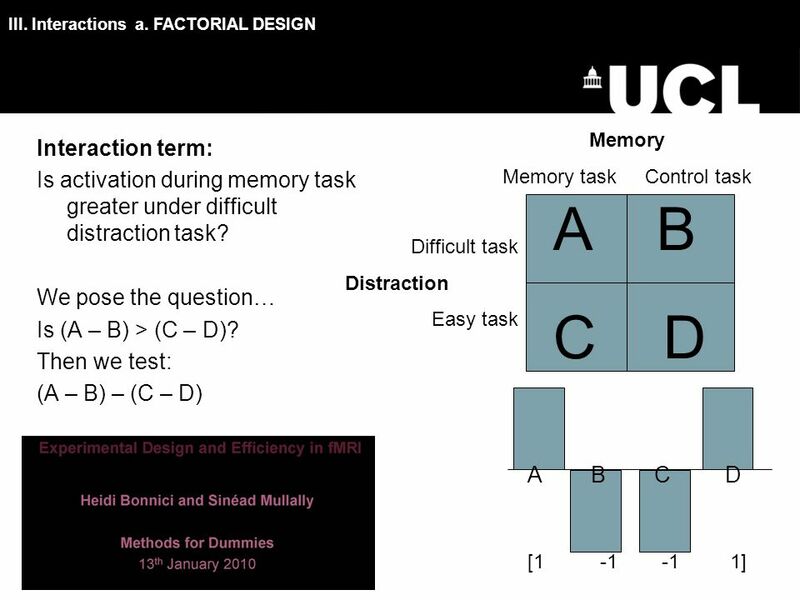 FMRI Methods Lecture 10 – Using natural stimuli. 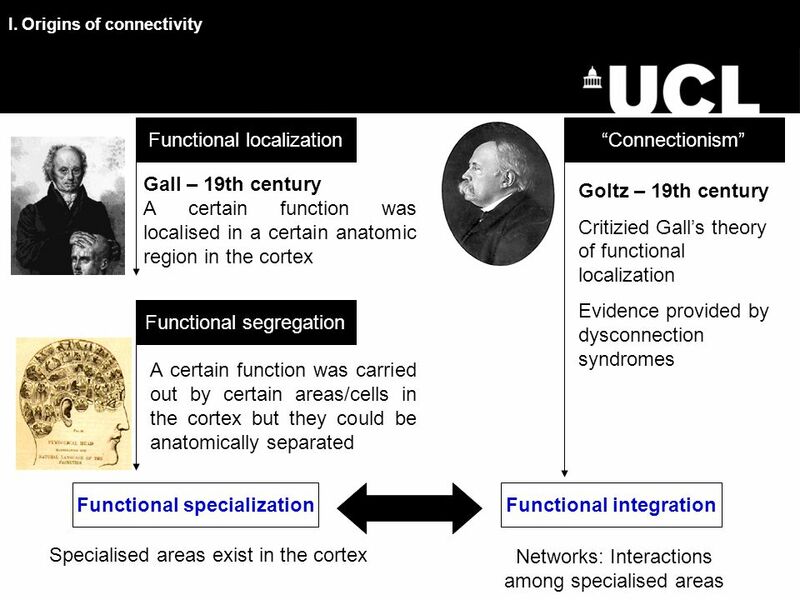 Reductionism Reducing complex things into simpler components Explaining the whole as a sum of its parts. 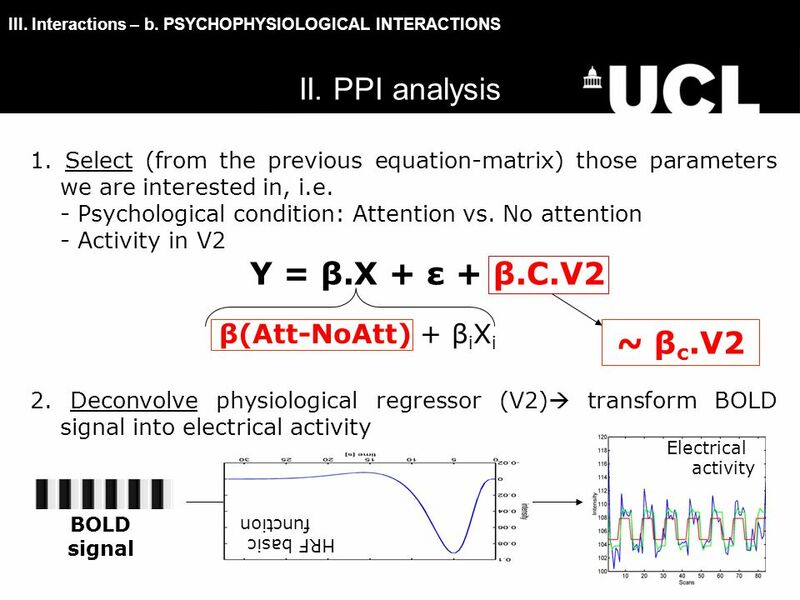 Joint Detection-Estimation of Brain Activity in fMRI using Graph Cuts Thesis for the Master degree in Biomedical Engineering Lisbon, 30 th October 2008. 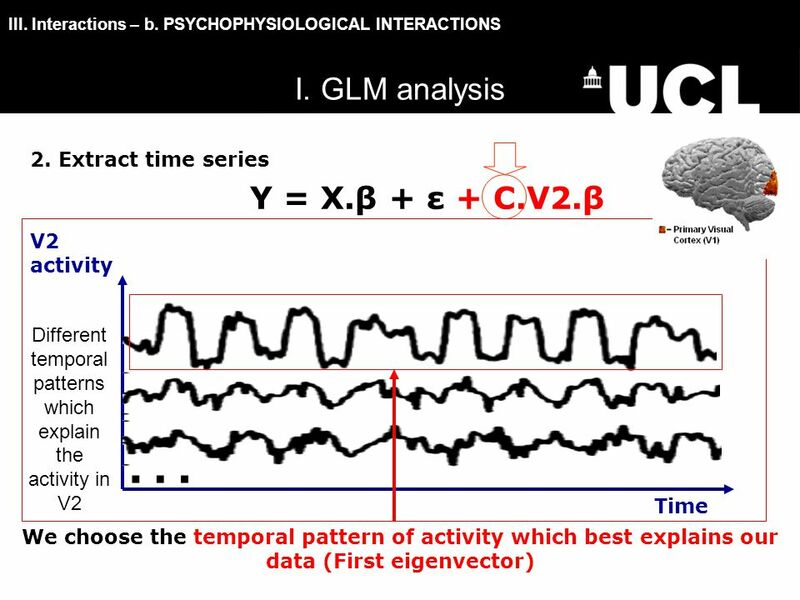 General Linear Model L ύ cia Garrido and Marieke Schölvinck ICN. 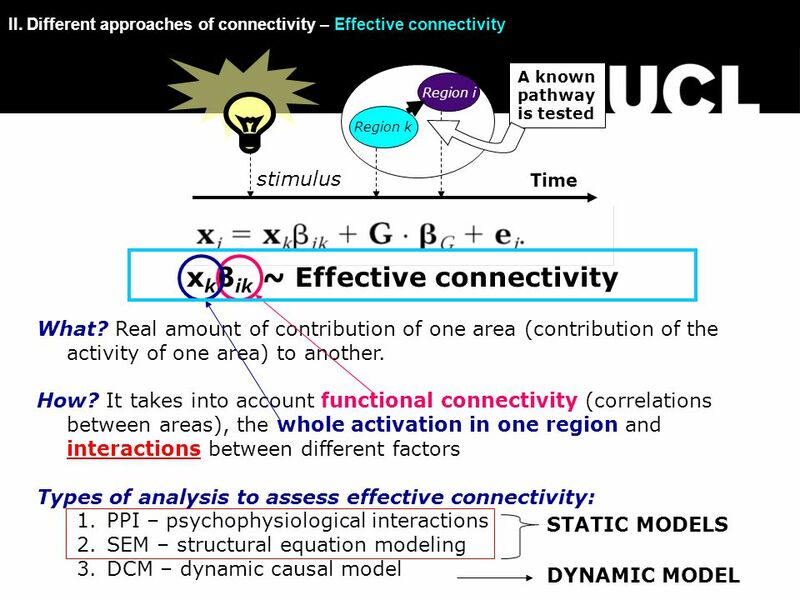 General Linear Model Beatriz Calvo Davina Bristow. 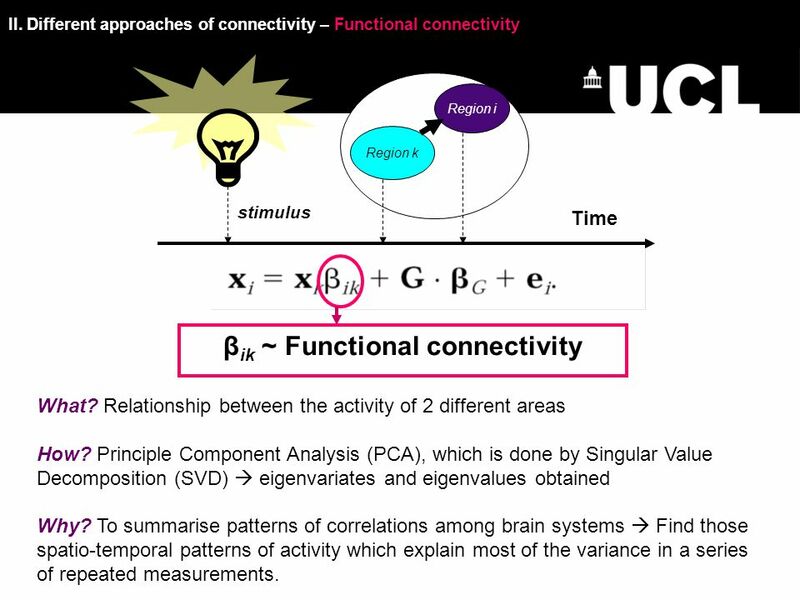 Introduction to Connectivity: PPI and SEM Methods for Dummies 2011/12 Emma Jayne Kilford & Peter Smittenaar. 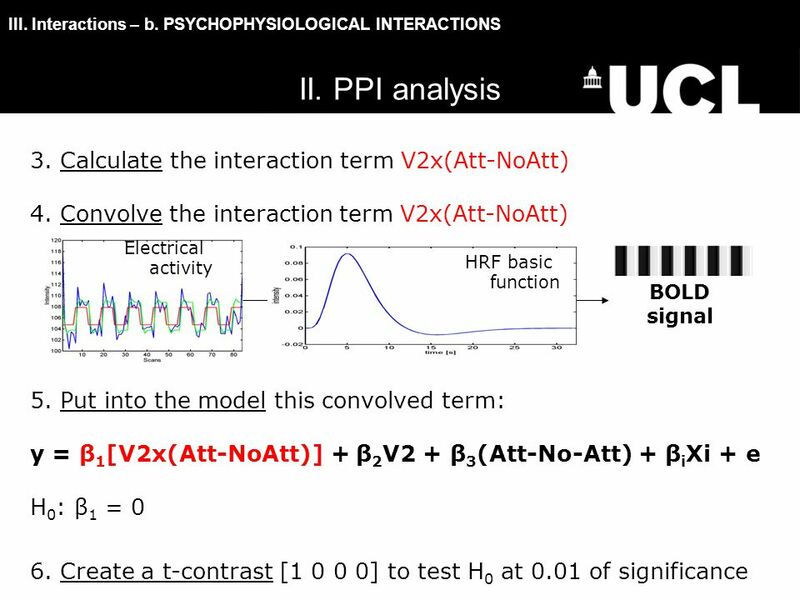 1st Level Analysis Contrasts and Inferences Nico Bunzeck Katya Woollett. 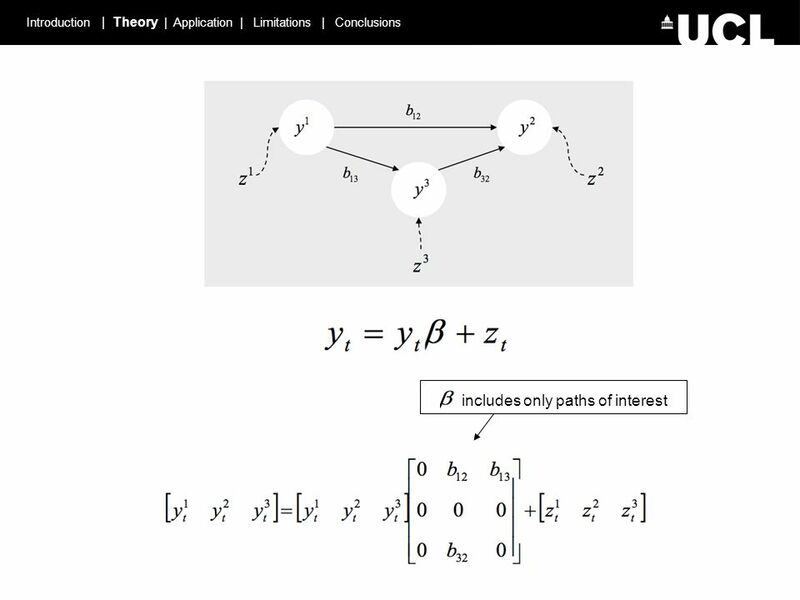 The General Linear Model Or, What the Hell’s Going on During Estimation? 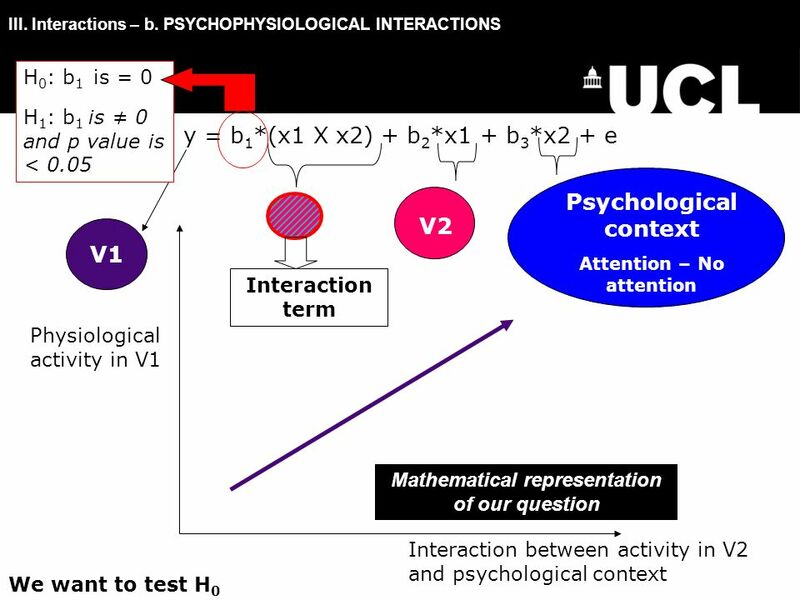 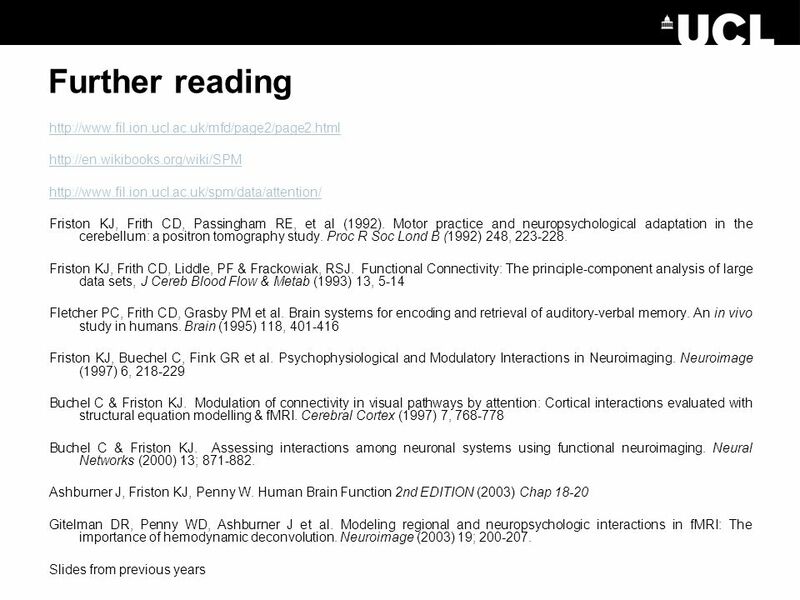 Multiple testing Justin Chumbley Laboratory for Social and Neural Systems Research Institute for Empirical Research in Economics University of Zurich With. 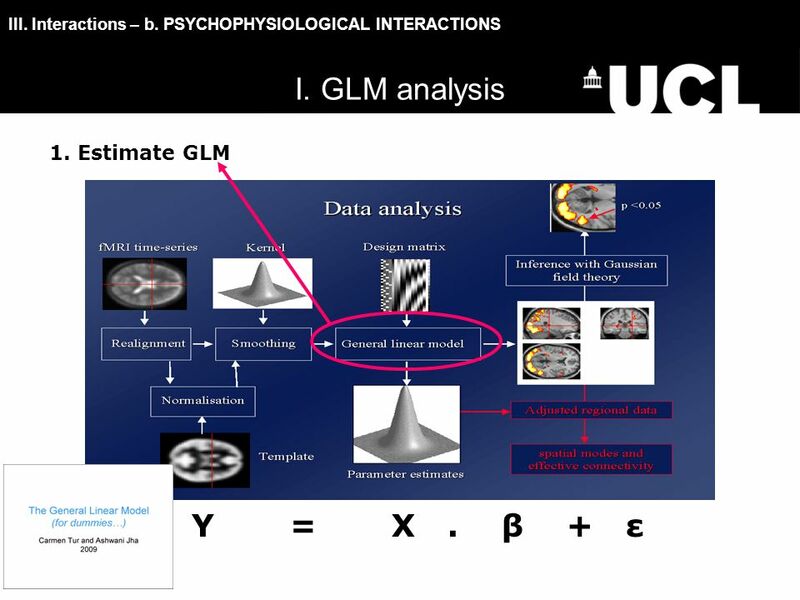 The General Linear Model (GLM) Methods & models for fMRI data analysis in neuroeconomics November 2010 Klaas Enno Stephan Laboratory for Social & Neural. 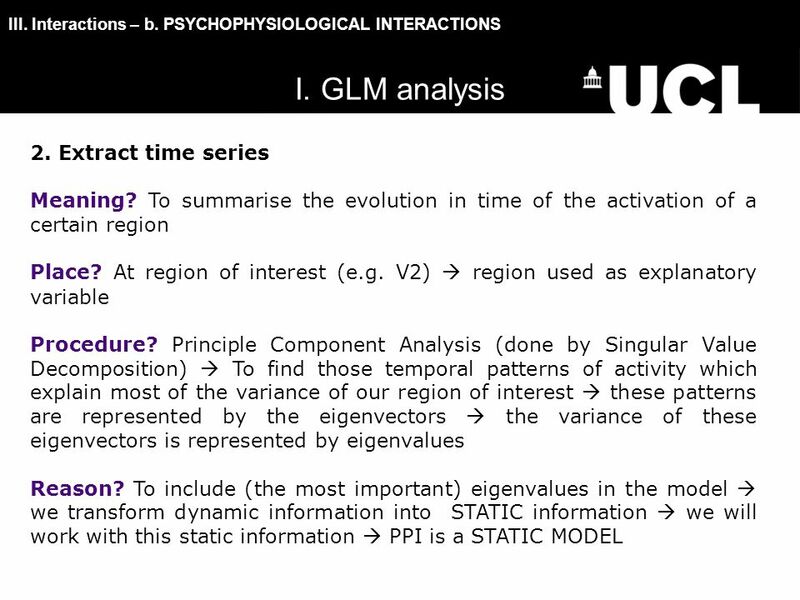 The General Linear Model (GLM) SPM Course 2010 University of Zurich, February 2010 Klaas Enno Stephan Laboratory for Social & Neural Systems Research. 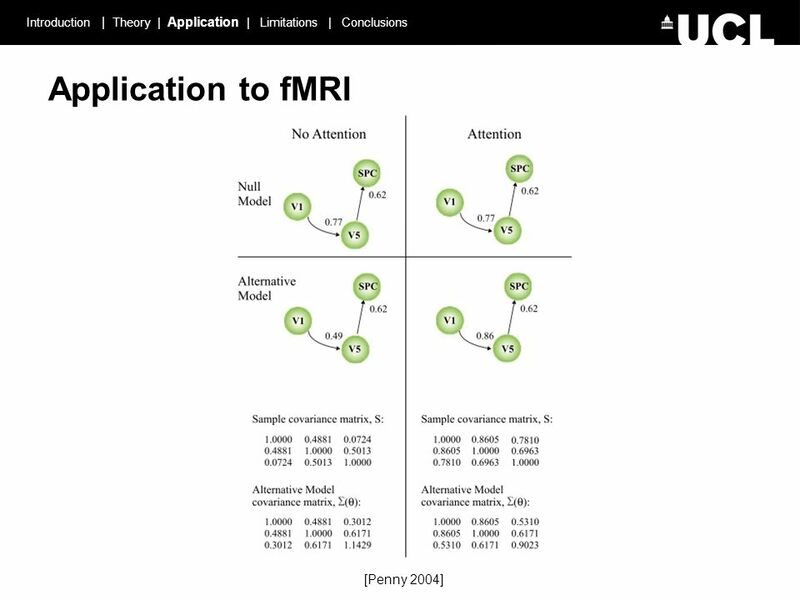 Experimental design of fMRI studies Methods & models for fMRI data analysis 12 November 2008 Klaas Enno Stephan Laboratory for Social and Neural Systems. 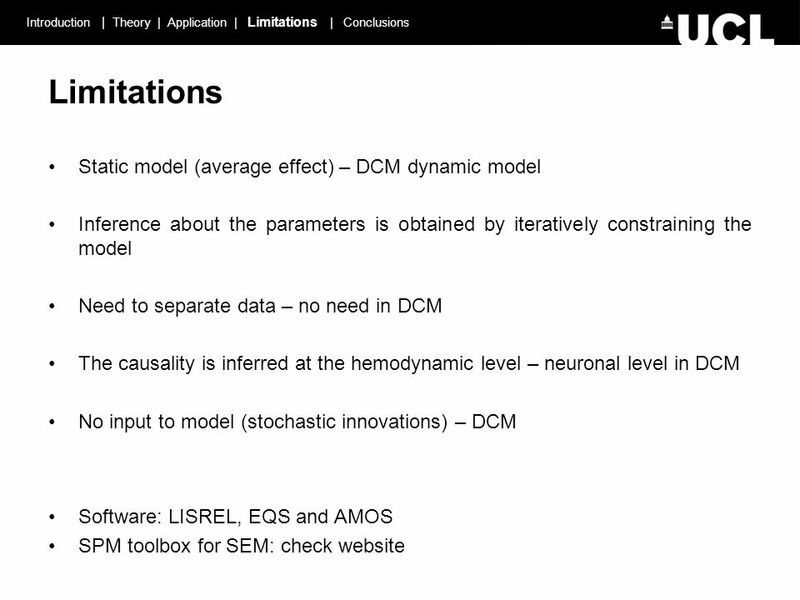 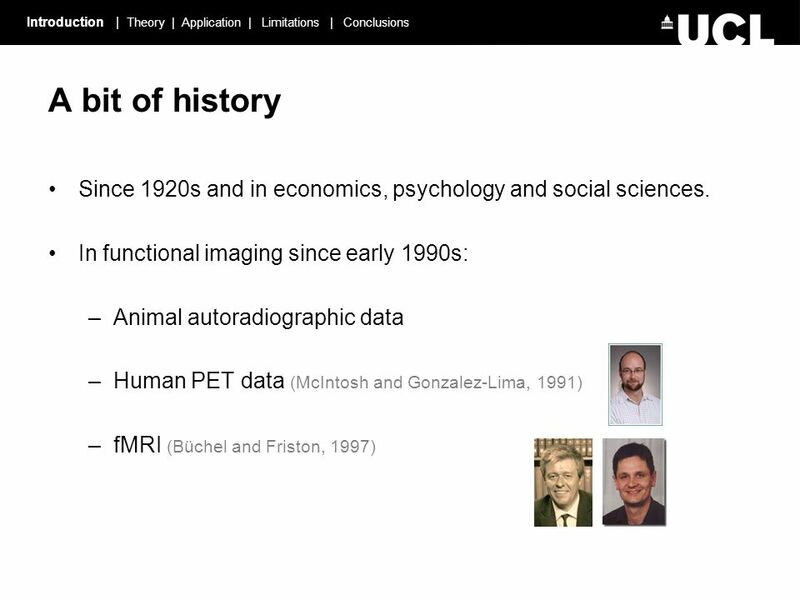 Dynamic Causal Modelling Advanced Topics SPM Course (fMRI), May 2015 Peter Zeidman Wellcome Trust Centre for Neuroimaging University College London.